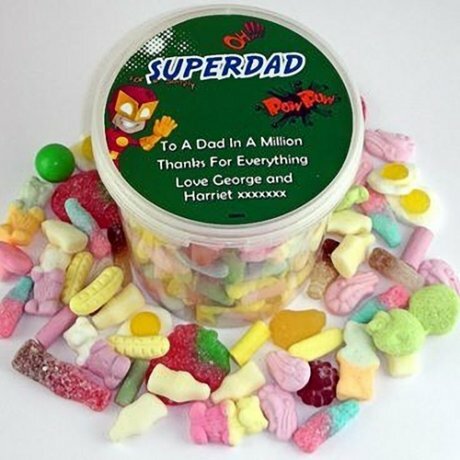 SuperDad Personalised Penny Mix Bucket. Looking for an inexpensive gift that everyone will love... and where you can add your own special message? This is perfect. The 'bucket' is crammed with over 600g of proper old-school penny mix sweets - the sweets you used to buy as a nipper from your local sweetshop.